The American Health Council has warmly welcomed Eugene N. Myers, MD, BS onto the Physician Board. With an impressive career spanning 33 years, the esteemed professional has been recognized for his outstanding accomplishments in otolaryngology and teaching. Dr. Myers has an impressive academic portfolio, beginning with his studies in 1954 when he received his Bachelor of Science BS at the University of Pennsylvania. With a strong desire to continue his medical training, Dr. Myers then went on to the Temple University School Medicine where he subsequently achieved his Doctor of Medicine MD in 1960. He then furthered his education in 1962 at the Boston Veterans Administration Hospital where he undertook his general surgery internship and a Mt. Sinai Hospital internship in 1961. Dr. Myers then embarked on his teaching fellowship at the Massachusetts Eye and Ear Infirmary, followed by his residency at the same establishment. 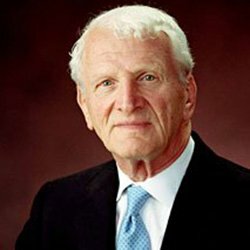 Dr. Myers has spent a decade in his current role as Distinguished Professor and Emeritus Chair at University of Pittsburgh Medical Center, where his extensive expertise includes healthcare, healthcare management, process involvement, program management, otolaryngology and head and neck cancer. Within this role, Dr. Myers actively interacts and treats patients and well as teaching medical students. As a third generation doctor, Dr. Myers was hugely influenced by his family, with his father and grandfather and several uncles all undertaking positions within the medical field. He also holds the particular motto ‘the harder you work the luckier you get’ as the pinnacle to his success. During his distinguished career in otolaryngology, Dr. Myers has had the honor of publishing over three hundred articles, book chapters and various books on head and neck cancer, otolaryngology, oncology and maxillofacial surgery. One of his most notable works to date is ‘Cancer of the Head and Neck’ which he wrote alongside Dr. James Y. Suen. Throughout his accomplished career, Dr. Myers has had the privilege of becoming the Director of the International Visiting Scholars Program in the Department of Otolaryngology. He holds this accomplishment in high esteem alongside being the former president of The American Board of Otolaryngology, the American Academy of Otolaryngology-Head and Neck Surgery, the American Head and Neck Society, the American Laryngological Society and the Pan American Society of Otolaryngology-Head and Neck Surgery. Amongst these many achievement’s, Dr. Myers remains Co-Chairman of Medical Advisory Board at Medrobotics Corporation, which he has held since 2012. With a constant desire to continue learning and broaden his knowledge in a forever developing field, Dr. Myers has become a member of a number of boards including the American Board of Otolaryngology, the American Academy of Otolaryngology-Head and Neck Surgery and the American Head and Neck Society. During his long standing career in medicine and teaching, Dr. Myers is proud to have served with the United States Army Medical Corps from 1965 to 67 at the 97th General Hospital in Frankfurt, Germany. Additionally, Dr. Myers was given the opportunity to fulfill the position of principal investigator of the Oral Cancer Center of Discovery, funded by the National Institute of Dental and Craniofacial Research. Amongst all his successes to date, Dr. Myers is most proud to be recognized as one of the top head and neck surgeons worldwide. Dr. Myers also established the Eugene N. and Barbara L. Myers fund in 1988 with the aim to promote Pittsburgh’s arts and education programs. Dr. Myers professional goals for the next five years include editing his books and a collection of slides to further contribute to the field of otolaryngology. Outside of medicine and teaching Dr. Myers loves to travel. In addition, he enjoys spending quality time with his wife Barbara, Son Dr. Jeffery Myers, daughter-in-law Lisa, daughter Marjorie, son-in-law Cary and his many wonderful grandchildren. 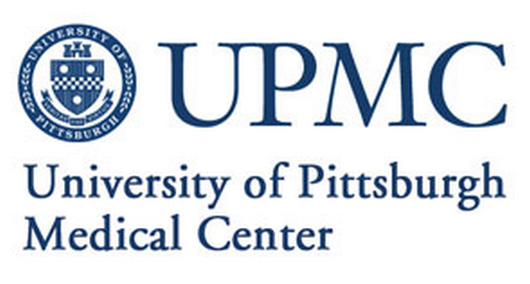 The mission of the University of Pittsburgh School of Medicine is to improve the health and well-being of individuals and populations through cutting-edge biomedical research, innovative educational programs in medicine and biomedical science, and leadership in academic medicine. We strive to implement this mission with the highest professional and ethical standards, in a culture of diversity and inclusiveness, and in an environment that enables each individual to develop to his or her fullest potential.